Analysis: Davis led the Titans in targets, receptions and receiving yards, but the passing offense was so anemic that it still resulted in a subpar line. The 23-year-old has displayed WR1 skills at times, but his value will always be capped by a run-heavy offensive gameplan and inconsistent quarterback play, regardless of whether Marcus Mariota or Blaine Gabbert plays under center. Analysis: Davis has tended to hamstring injuries for stretches in both of his two pro seasons, but despite being limited Thursday and Friday this week, he's set to play in the regular-season finale. In two prior matchups with the Colts, he combined for six catches (on eight targets) for 69 yards and no touchdowns. Analysis: Davis was not listed on the Titans' injury report Wednesday, so his addition to it Thursday makes the wideout's status worth monitoring leading up to Sunday night's game against the Colts, a matchup that will determine Tennessee's postseason fate. Analysis: It was another quiet fantasy day from Davis, who hasn't surpassed 50 receiving yards or caught a touchdown since Week 13. A big part of his downturn in production has been the team's focus on getting Derrick Henry going on the ground. That strategy has resulted in four consecutive wins, saving Tennessee's season, so don't expect the run-heavy gameplan to change against the Colts in Week 17. Davis is best left as a deep-league option for the final week of the regular season. Analysis: Davis led the team in targets, but he was victim of the team skewing heavily towards the run game while playing in poor weather conditions. However, his inability to hit big plays has extended beyond subpar weather conditions, as he has just one catch for more than 30 yards across the last 10 games. That leaves Davis as a touchdown-dependent flex option heading into a Week 16 matchup versus the Redskins. Davis caught three of seven passes for 42 yards and a touchdown in Sunday's 26-22 win over the Jets. He also rushed the ball once for 12 yards. Davis caught all four of his targets for 96 yards and a touchdown in Monday's 34-17 loss to the Texans. He also rushed once for 39 yards. Analysis: Davis' lone carry resulted in him leading Tennessee in rushing. While that added some value, his 48-yard touchdown catch during the third quarter further supported an excellent outing. After not scoring during the regular season as a rookie, Davis has now found the end zone three times this season, including twice in the last three weeks. That stretch includes two performances of 95-plus yards, putting his fantasy utility on the rise heading into a Week 13 matchup with the Jets. Davis hauled in two of his four targets for 30 yards in Sunday's 38-10 loss to the Colts. Analysis: Davis has been a key figure in the Titans' passing game throughout the season, as he entered Sunday's action with a 31.1 percent target share. However, he was targeted only twice on 29 pass attempts against the Colts -- fewer than both Tajae Sharpe and Jonnu Smith -- matching his season low. Despite his heavy involvement, Davis has been a strong fantasy performer in only two games this season, which have accounted for one-third of his receptions and nearly half of his yardage. Davis exploded for seven catches, 125 yards and a touchdown on 10 targets in Sunday's 34-10 win over the Patriots. Analysis: Despite being interfered with in the end zone, Davis still managed to come down with a 23-yard touchdown catch to take a 14-3 lead in the first quarter. This was another tremendous effort against a team that he burned for two touchdowns in the playoffs last year, as Davis accounted for more than half of Marcus Mariota's 228 passing yards. He'll look to keep rolling against the Colts in Week 11. Davis caught six of 10 targets for 56 yards in Monday night's 28-14 win over the Cowboys. Analysis: Davis paced his team in receptions and targets, but it was Dion Lewis who led Tennessee with 60 yards through the air. Of course, Davis' night would've been better had quarterback Marcus Mariota not overthrown him on a wide-open, nine-yard touchdown to start the fourth quarter. Overall, it was still Davis' best performance since his Week 4 explosion, which bodes well as he heads into a meeting with the Patriots, against whom he scored twice in the playoffs last season. Davis (hamstring) won't carry an injury designation in Monday's game against the Cowboys, Jim Wyatt of the Titans' official site reports. Analysis: Davis started the week as a limited participant but faced no limitations at practice Saturday to avoid the questionable tag. The 23-year-old and the Titans offense will be going up against a Cowboys defense that is allowing only 217.4 yards per game through the air. Coach Mike Vrabel said Davis (hamstring) was a limited participant in Friday's practice, John Glennon of The Athletic reports. Davis (hamstring) was limited at Thursday's practice, Jim Wyatt of the Titans' official site reports. Analysis: The Titans were on bye last week, so it's unclear if this is a minor issue that carried over from Week 7's action or if Davis suffered a setback at Thursday's practice. Tennessee takes on Dallas on the road Monday night. Davis caught three of seven targets for 10 yards in Sunday's loss against the Chargers. Analysis: Though the Titans' passing attack finally got on track Sunday, Davis was left behind for his worst performance of the season. It was the second time in seven games that he didn't lead the Titans in targets, with Tajae Sharpe instead spearheading the passing attack. While Davis isn't helped by his team's poor offense, he has hauled in only eight of his 17 targets for 83 yards across three games since his nine-catch, 161-yard performance against the Eagles in Week 4. Davis caught one of four passes for 24 yards during Sunday's 21-0 loss to the Ravens. Davis caught four of six passes for 49 yards during Sunday's 13-12 loss to the Bills. Analysis: Davis continued to work efficiently Sunday -- he's hauled in close to 70 percent of his targets this season -- but was held back by lack of volume. 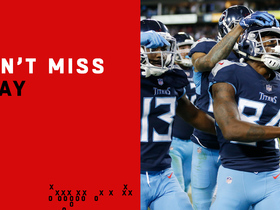 In spite of that, he still produced the longest play the Titans offense mustered, a 23-yard catch across the middle of the field midway through the third quarter. Davis has led the team in targets in four of five games this season, but has been held back by inconsistent quarterback play and a conservative offensive approach. Davis (illness) practiced fully Thursday, John Glennon of The Athletic reports. Analysis: Davis is thus good to go for Sunday's game against the Bills and in line to serve as the Titans' top wideout moving forward. He's on the upswing following a stellar effort in Week 4, in which he caught nine of 15 passes for 161 yards and a touchdown in the team's 26-23 overtime win over the Eagles. Davis (illness) was limited at practice Wednesday, Turron Davenport of ESPN.com reports. Analysis: Davis is coming off a big effort in Week 4, during which he caught nine of 15 passes for 161 yards and a touchdown in the Titans' 26-23 overtime win over the Eagles. Through four games, the No. 5 overall pick in the 2017 NFL Draft has logged 22 catches for 312 yards and a touchdown, establishing himself as Tennessee's clear-cut top passing target. Davis caught nine of 15 passes for 161 yards and a touchdown during Sunday's 26-23 win over the Eagles. Davis has forced four missed tackles and gained 89 yards after the catch, John Glennon of The Athletic reports. Analysis: Glennon also noted that Davis forced just seven missed tackles and gained 117 yards after the catch all of last season. While Davis has racked up only 13 catches and 151 yards through three games, his ability to make defenders miss is a positive. 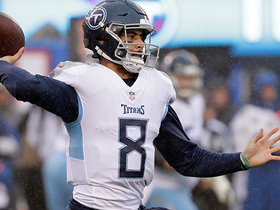 However, the fact that over half of his yards have came after the reception illustrates the lack of downfield threat the Titans' passing attack has possessed, something that could change once Marcus Mariota returns to full strength. Davis caught two of four targets for 34 yards in Sunday's 9-6 win over the Jaguars. Analysis: Davis was shut out in the first half, but he made his first catch of the game count, making defenders miss while picking up 22 yards on 1st-and-20 to help set up a field goal on the first drive after the break. He was catching balls from Marcus Mariota (elbow) in this one, as Blaine Gabbert got the start but exited with a likely concussion. This matchup with shutdown cornerback Jalen Ramsey was a tough one, but Davis should find more success against the Eagles next week. Davis snatched five of seven targets for 55 yards during Sunday's 20-17 win over the Texans. Analysis: Davis now has as many five-catch games this season as he did in all of 2017. However, the former top-five pick is still waiting for his first career receiving touchdown. Davis has led the team in targets in each of the first two weeks of the season, and ideally, he'll see an uptick in production when Marcus Mariota (elbow) returns to health. 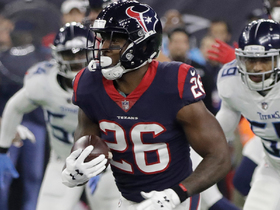 Davis (hamstring) does not carry an injury designation for Sunday's game against the Texans after practicing fully Friday, Jim Wyatt of the Titans' official site reports. Analysis: Davis noted earlier in the week that he'd be fine for Week 2, which the Titans' official injury report confirms. The second-year wideout hauled in six of his 13 targets for 62 yards in last Sunday's loss to the Dolphins, and he figures to remain heavily involved in the Tennessee passing attack going forward, more so with the team looking to fill the void created by the placement of productive tight end Delanie Walker (111 targets in 2017) on IR. Davis (hamstring) was a limited participant at Thursday's practice. 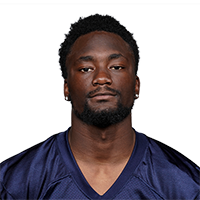 Analysis: Though he has yet to be freed of restrictions through two practices this week, Davis appeared confident about the health of his hamstring Wednesday, stating that he'd be "fine" for the Week 2 matchup with the Texans, per Jim Wyatt of the Titans' official site. Davis' full participation in practice Friday would offer more optimism about his outlook heading into the weekend, but the Titans' coaching staff hasn't expressed any outward concern about the wideout's availability for Sunday. Davis, who was limited at practice Wednesday, since noted, "I'm good. My hamstring is fine," Jim Wyatt of the Titans' official site reports. Analysis: Based on that, we'd expect the wideout to be a go Sunday against the Texans, though of course that notion would be best supported by a return to a full practice on Davis' part, either Thursday or Friday. Davis' limited participation Wednesday was a result of the Titans helping him manage a hamstring issue that previously bothered him during training camp, Paul Kuharsky of 104.5 The Zone Nashville reports. Analysis: Coming off a 13-target Week 1 performance in the Titans' loss to the Dolphins, it's certainly good news that Davis isn't dealing with a new injury. After getting some extra maintenance Wednesday, it's more likely than not that Davis will be ready to go without restrictions by the time Sunday's game against the Texans arrives. It's still worth monitoring his practice participation and his final designation on Friday's injury report to ensure that remains the case. 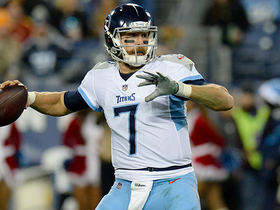 Davis was limited at practice Wednesday due to a hamstring injury, Jim Wyatt of the Titans' official site reports. Analysis: Davis caught six passes on 13 targets -- both team highs -- in Sunday's loss to the Dolphins, finishing the day with 62 yards. It's unclear if his limitations Wednesday were precautionary or indicative of an issue that could impact his Week 2 status. If Davis is limited or ruled out for this weekend's tilt with the Texans, Rishard Matthews, Tajae Sharpe and Taywan Taylor would be in store for added snaps and targets at wideout. Davis was targeted a team-high 13 times in Sunday's 27-20, Week 1 loss to Miami. He secured six of those targets for 62 yards. Davis won't play in Thursday's preseason game against the Vikings, Paul Kuharsky of 104.5 The Zone Nashville reports. Davis was targeted twice but did not record a reception during Saturday's preseason game against the Steelers. Davis, who has impressed the Titans coaching staff this summer, has been used "across the formation" in practices, Turron Davenport of ESPN.com reports. Davis started but failed to come up with his only target in the Titans' 30-14 preseason loss to the Buccaneers on Saturday. Davis (undisclosed) returned to practice Saturday after sitting out Thursday's preseason contest against the Packers, Jim Wyatt of the Titans' official site reports. Analysis: Davis was kept to the sideline during Thursday's preseason opener, having missed practice earlier in the week due to an undisclosed injury. Although the nature of the injury remains unknown, the severity of his issue appears to be minor as the Titans simply chose not to rush him back into game action with fellow starting wide receiver Rishard Matthews (undisclosed) still on the PUP list. Davis will look to make his preseason debut next Saturday against the Buccaneers. Davis (undisclosed) didn't play in Thursday's preseason game against the Packers, Jim Wyatt of the Titans' official site reports. Analysis: Davis returned to practice Tuesday after a one-day absence, but it now seems he isn't quite back at 100 percent, considering the Titans played the vast majority of their starters in Thursday's game. With no indication of a serious injury, Davis could make his 2018 debut in next Saturday's exhibition against Tampa Bay. The Titans' larger concern is fellow starting wideout Rishard Matthews, who remains on the PUP list with an undisclosed injury. Davis (undisclosed) returned to practice Tuesday, Turron Davenport of ESPN.com reports. Analysis: Davis only missed one practice with a minor injury, while the Titans' other projected starter at wide receiver, Rishard Matthews, remains on the PUP list with an undisclosed injury of his own. Taywan Taylor has been filling in on the first-team offense alongside Davis, with Tajae Sharpe and Michael Campanaro also getting some extra reps. Matthews' continued absence should help Davis' bid to assume the mantle of No. 1 receiver. Davis (undisclosed) did not practice Monday after exiting Saturday's practice early, Ed Bacharach of the Tennessean reports. Analysis: Though coach Mike Vrabel wouldn't specify what's ailing Davis, he suggested afterward that the wideout's issue isn't serious. Consider the No. 5 overall pick in last year's draft day-to-day for now. The Titans' offseason moves hint at confidence that Davis can develop into a No. 1 receiver, ESPN.com's Cameron Wolfe reports. Davis could benefit from simpler route combinations under new offensive coordinator Matt LaFleur, ESPN.com's Cameron Wolfe reports. Davis was the lone bright spot in Tennessee's 35-14 divisional-round loss to the Patriots, catching five of eight targets for 63 yards and two touchdowns. Davis caught four of seven targets for 35 yards Saturday during a 22-21 win over the Chiefs in the wild-card round. 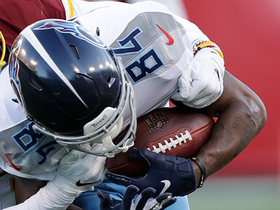 Analysis: Davis led all Titans wide receivers in targets, catches and yards, but the position had minimal involvement with Tennessee relying primarily on the running game and tight end Delanie Walker to move the ball. The talented rookie's price in postseason formats remains low, so he could be worth a flier in the next round despite having failed to score a touchdown thus far in his NFL career. Davis should have had one in this game, but Marcus Mariota overthrew him right at the goal line. Davis was held without a catch in Sunday's 15-10 win over the Jaguars. Analysis: Tennessee found a way to eke out a win and make the playoffs despite getting a combined four catches for 25 yards from its wide receivers against the stout Jacksonville secondary. Davis finishes an injury-plagued rookie year with 34 catches for 375 yards and no touchdowns in 11 games, but the fifth overall pick out of Western Michigan is still brimming with potential that he could start to realize as soon as the wild-card round against a shaky Chiefs secondary. Davis caught six of nine targets for 91 yards in Sunday's 27-23 loss to the Rams. Analysis: Davis led his team in receiving yards while tying Eric Decker for the most receptions. This was the most productive performance of the rookie fifth overall pick's 10-game NFL career, giving him some momentum heading into next week's showdown with Jacksonville's elite secondary. A win in that game would secure a playoff berth for Tennessee, so there would be no better time for Davis to score his first career touchdown. Davis caught three of his five targets for 28 yards in Sunday's 25-23 loss to the 49ers. Analysis: Davis continues to put up underwhelming performances, though quarterback Marcus Mariota is hardly doing any better relative to expectations. Rishard Matthews is the only wide receiver that can be trusted to produce at a respectable level in this offense right now. Davis turned six targets into three catches for 29 yards in Sunday's 12-7 loss to Arizona. Analysis: Davis finished second in targets to tight end Delanie Walker's nine, as fellow wideouts Eric Decker and Rishard Matthews saw only five apiece. While the rookie continues to see a decent number of looks per game, he's not making much of a fantasy case for himself after having failed to find the end zone or top 50 yards in a game since returning from a hamstring injury in Week 9. Davis managed just two catches for 12 yards on four targets in Sunday's 24-13 win over the Texans. Analysis: Davis was quiet once again and now has just 51 yards in two games without fellow wide receiver Rishard Matthews (hamstring). This past draft's fifth overall pick doesn't look ready to handle a starter's responsibilities on the outside. 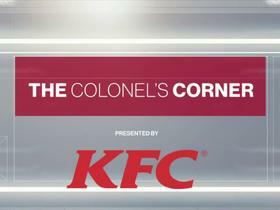 Davis played 72 percent of the offensive snaps in Sunday's 20-16 win over the Colts, Cameron Wolfe of ESPN.com reports. Davis caught all four of his targets for 39 yards in Sunday's 20-16 win over the Colts. 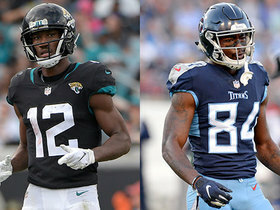 Davis is expected to serve as the Titans' top wideout Sunday against the Colts with Rishard Matthews (hamstring) inactive for the contest, Cameron Wolfe of ESPN.com reports. Davis turned seven targets into three catches for 27 yards in Thursday's 40-17 loss to Pittsburgh. Davis turned 10 targets into four catches for 48 yards and lost a fumble in Sunday's 24-20 win over the Bengals. Analysis: While his final stat line was nothing to write home about, Davis led his team in targets, narrowly edging out Delanie Walker (nine) and Rishard Matthews (seven). It looks like Davis and quarterback Marcus Mariota are still trying to get on the same page after the rookie fifth-overall pick was sidelined for the better part of two months by a hamstring injury, but Davis' increased involvement since his return bodes well for the duo's future. Titans coach Mike Mularkey said Davis could see an uptick in snaps moving forward, Jim Wyatt of the Titans' official site reports. Davis (hamstring) caught two of five targets for 28 yards in Sunday's 23-20 win over the Ravens. Analysis: Playing for the first time since Week 2, the rookie fifth-overall pick didn't look limited by his hamstring injury. Davis tied with tight end Delanie Walker for second on the team in targets behind Rishard Matthews (seven), narrowly edging out Eric Decker (four). There are a lot of mouths to feed in Tennessee's passing game, but a healthy Davis is the most explosive receiver at quarterback Marcus Mariota's disposal. 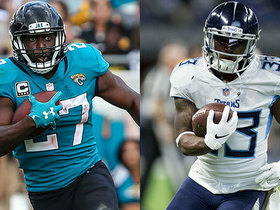 Davis (hamstring) will play in Sunday's game against Baltimore, though Titans head coach Mike Mularkey wasn't willing to guarantee that the rookie would receive a full workload, Jim Wyatt of the Titans' official site reports. Davis (hamstring) was a full participant at Wednesday's practice, Paul Kuharsky of 104.5 The Zone reports. Davis (hamstring) expects to be eased into the offensive game plan Sunday against the Ravens, Jason Wolf of The Tennessean reports. "I want to go out there and play every snap and do whatever I can to help the team out," Davis said. "But that might not be in [head coach Mike Mularkey's] plan. I know I'm going to get a few snaps. I don't know how many snaps." Analysis: Davis returned to practice as a limited participant Monday and will likely repeat the feat Wednesday, before potentially ramping things up to full participation Thursday and/or Friday. Eric Decker's ineffectiveness has left the door wide open for Davis to eventually take the No. 2 receiver job, but the rookie likely will have to settle for the No. 3 or 4 role in his first game action since Week 2. Both team and player sound confident that Davis will be available Sunday. 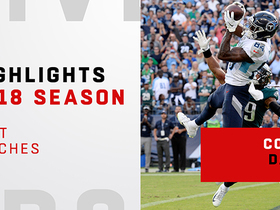 Watch the best catches from Tennessee Titans wide receiver Corey Davis from his 2018 season. Tennessee Titans quarterback Marcus Mariota's pass to wide receiver Corey Davis is incomplete. 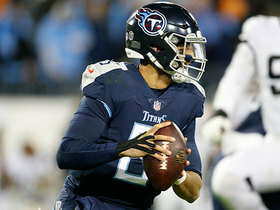 Tennessee Titans quarterback Marcus Mariota connects with his wide receiver Corey Davis for a go-ahead 11-yard touchdown late in the fourth quarter.